Frequenters of my reviews know I don’t use words like “my.” The word “I” has also never been used. 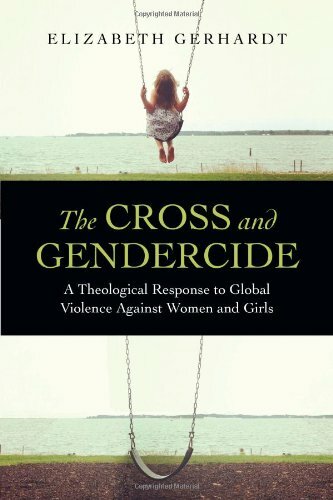 But in reading The Cross and Gendercide: A Theological Response to Global Violence Against Women and Girls the only way to format this review was to incorporate myself. The words “me,” “my” and “I” were required to communicate the importance of the subject matter. The purpose of Dr. Gerhardt’s writing this book is to encompass the church with the necessity of a confessional response to the sinful pattern of abuse shown to females. The Cross and Gendercide thus requires that I speak as a person under the conviction of its gospel and proclaim as a “me” that ”we,” the church, need to respond to this issue. The early chapters of The Cross and Gendercide are brutal and cutting. I couldn’t help but weep internally at the devastation that sin has produced. It put me in a sour mode for days. We in the cultured west have hidden ourselves from these things. Our society knows well to keep them off our televisions and computer monitors (except when it can become a trendy hashtag). But the facts stand there in your face. The facts stand in the face of the church. 85-95% of victims to violence in the United States are female (37). There are more human beings in slavery now than in the 16th and 17th century (47). Sinfulness abounds. And the presentation of the church is as one that stands idly. Whether we desire the tag or not, we are often guilty of proclaiming a half-baked gospel of personal fulfillment. To some this idea may be repugnant. But replace the word “fulfillment” with “justification” and ask yourself the dark haunting question, did Christ come to justify His personal creation? And since He did in fact die for the world, who is the justifying Christ today in the proclamation of the church? The church must be called to a faithful “proclamation of the whole gospel” (17) and not just some justification centered idolatry. We meet weekly for Bible study but do we meet weekly for outreach? The church is responsible to communicate (confess) the full revelation of God, found in Jesus Christ, suffering on the cross for the downtrodden. It is in these pages that Dr. Gerhardt presents some of the hardest words to read (60-67). And it is compounded by the fact that I don’t believe the theology of the church is wrong. There are times I wonder if the concept of “patriarchy” in The Cross and Gendercide is something made up, a social condition or an accurate representation of the church’s theology. I do think Dr. Gerhardt uses it to accurately describe a social/religious condition. But I also perceive that we see the Old Testament law differently. Ultimately, it doesn’t matter. The state of global violence against women is a painful testimony to read (chapters 1-3) and any theology that stands in silence while it occurs needs to be discarded. Our lack of church discipline and theological/pastoral leadership has led us to a place where we cannot faithfully move outside the walls of the church to address Christ in those suffering persecution. So while I presume our theology is correct, it needs a book like The Cross and Gendercide to spark us towards revival. So what is the church to do? What am I to do? Thankfully, Dr. Gerhardt does not leave the church without an attempted solution. Ultimately she does provide some practical examples and advice (chapter 6). But before that the theology of Luther and the German reformation is presented in an extensive manner. The theology of the cross and the incarnational suffering of Jesus Christ are placed before the church (chapter 4). It becomes evident that the church fixated on Christ cannot be solely engaged in “self-focused efforts” (86). No matter how “well intentioned” its programs may be the church must die to itself (86). Concern about numbers, finances, sermon recording quality and praise styles must die. These are all the practical outcomes of a theology consistent with a distinction between faith and works (92). Since we affirm confessionally a salvation apart from works, we must be persuaded to freedom for obedience to Christ. Freedom from all. Submission to all. And the logical conclusion: the church is endowed with the power to “address evil in the world” (110). Though Dr. Gerhardt is less optimistic toward the future of the church and society, I cannot bring an accusation against her faithfulness to the Scriptures in this regard. The church must endure its trials and provide confessional resistance to those mistreated by the world. To illustrate such a resistance Dr. Gerhardt presents the life and history of Dietrich Bonhoeffer. Church history in both its failures and success towards Nazi Germany are replayed in a pertinent way. Here the theology of The Cross and Gendercide hits history. Here the theology of the cross is found intersecting with history. Here the words and thoughts of theological giants are pulled forward for the church to read. Jesus Christ’s suffering and call for resistance takes center stage. Bonhoeffer eventually required that the prophetic voice of his time be weighted equally between confession and resistance. Confession without resistance becomes faux ethics. Resistance without confession does not present the Christ of the cross. I must admit that among the strengths of this prophetic cry there are some low points. I believe Dr. Gerhardt unnecessarily depreciates the Law of Moses and the revelation of God’s character that it contains (116, 170). There are moments of confusion as to how the church can practically determine if the state is using its strength “too much” or “too little” (132-133). But I, and the church, cannot use these differences to dismiss the reality that a crucified Christ calls us to serve the poor and needy. Nor can churches of differing confessions permit the cross to be placed behind some other doctrine. We all affirm an incarnate God. A God sensitive to the suffering of humanity (57). And so we must be persuaded that Jesus Christ in His suffering is the fullest reflection of God. On the cross, Jesus Christ commissioned His disciple John to take care of His mother (John 19:26-27). His brother James carried forward the call to orphans and widows (James 1:27). The Cross and Gendercide stands in that tradition of prophetic voices calling the church to work together, not separately, in its effort to bring “good news to the poor” and “liberty [to] those who are oppressed” (Luke 4:18). I now stand in that tradition. A blessed husband and unworthy father who’s heart cannot stand the reality of this global violence. Neither can I stand the genuine theological responsibility placed upon the church and our failures to carry it. I too must return to the cross as the broken and downtrodden man that I am. I must begin in “prayer and humility” (148) and then with the strength of the resurrection call the church to follow suit.